What a great event at Acme Arts Center! 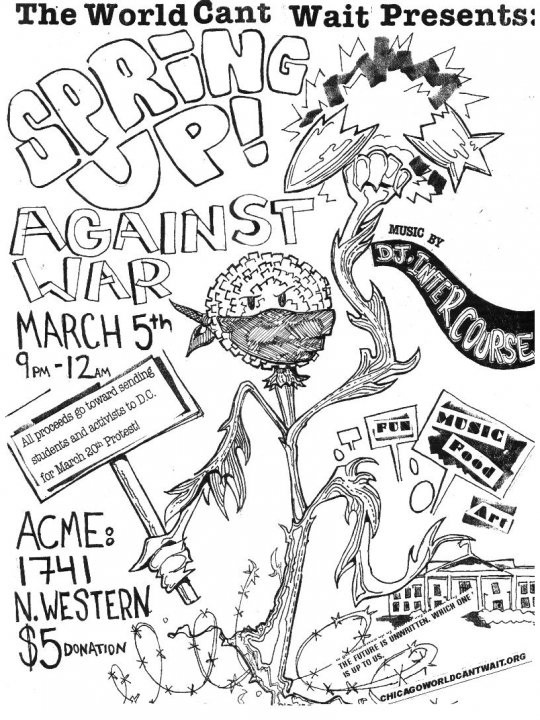 It was a fund raiser to help send youth to protest the war in Iraq in D.C. I contributed a series of hand drawn protest signs and did an installation with actual protest banners used throughout the year by activists. 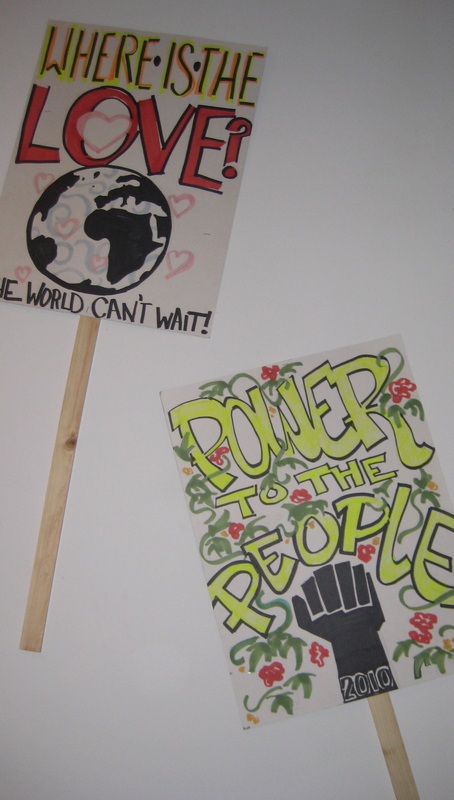 We set up an area where visitors could build and create there own protest signs (sticks and all) and add them to the installation. I also had a ball hand-drawing the flyer like we used to do back in the day. The music rocked, the food was great and the company was warm, smart and happy to dance. My kind of people! half of the gallery wrapped in banners, signs and posters.